We are all taking a break inside where it's a cool air conditioned 70 degrees. 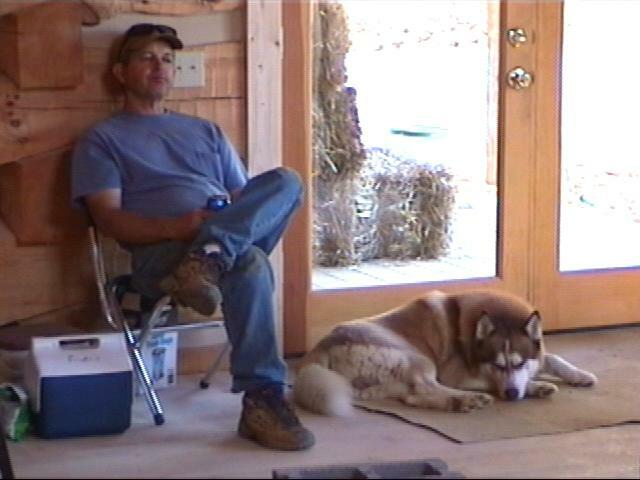 Here Timber and Dad are relaxing. 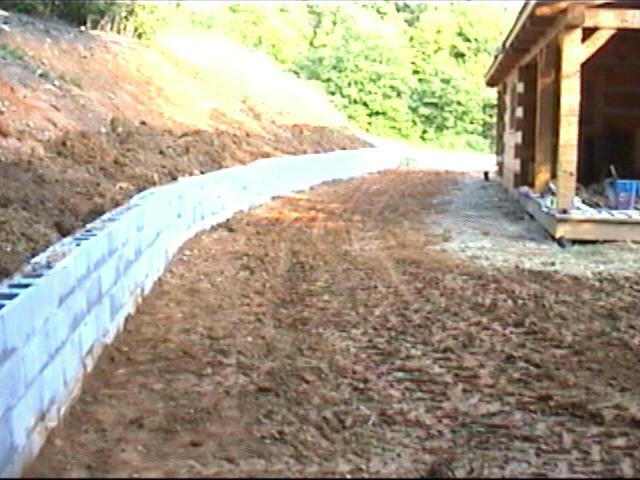 Here's a long shot of the back retaining wall. We got all the dirt up and over the wall and got some rough grading done too. All of this wall will be rocked. Here's the wall from the other end. 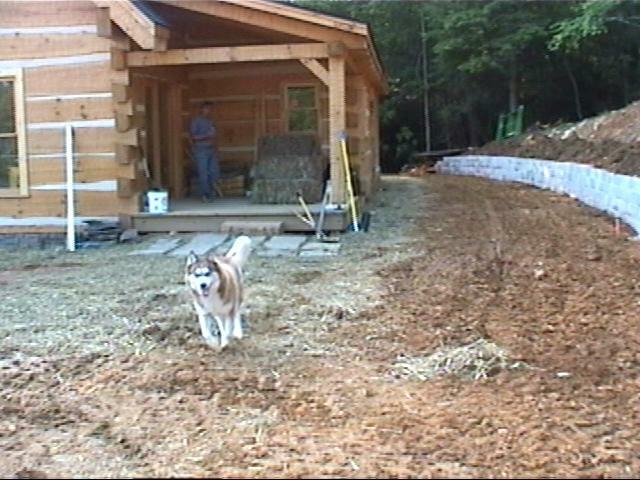 Dad just came out of the house and Timber is running out to me. 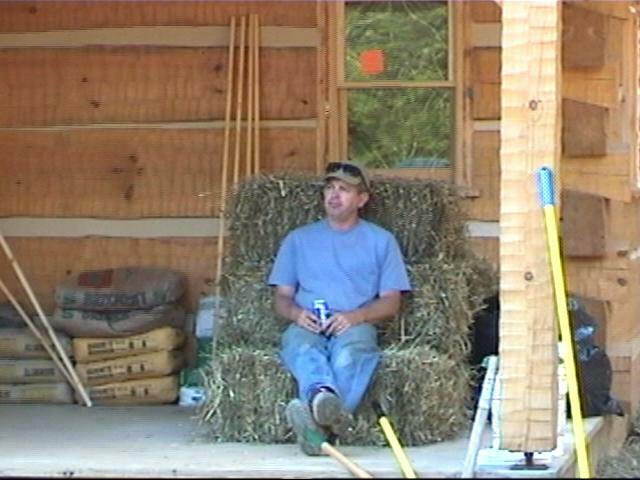 We've put down straw all around to the house to try and keep the mud off the log walls. .
Dad taking a break on the Kitchen porch. 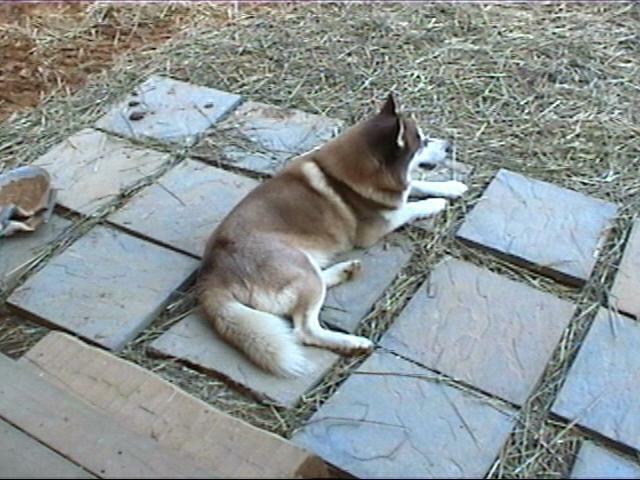 Timber settles down on the temporary patio. We've had a tough time with all the mud around the house. It has rained almost every day since the middle of June!